Fianna Fáil has accused the Taoiseach of using damaging “megaphone diplomacy” in the Brexit negotiations. 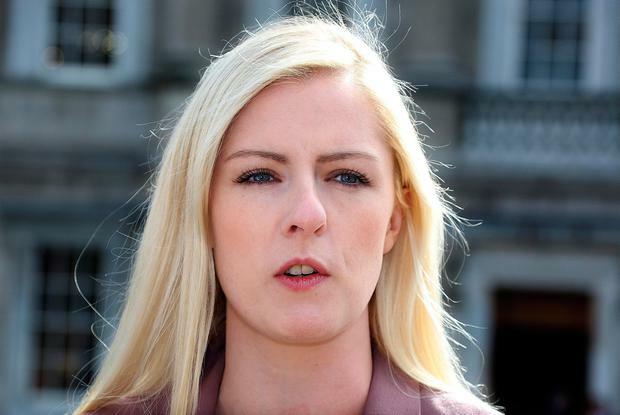 The party’s Brexit spokesperson launched one of the strongest attacks yet on Leo Varadkar’s approach to the talks, saying he is responsible for creating tensions in Anglo-Irish relations. As high-level talks between the EU and UK resumed on the Border question yesterday, Lisa Chambers said there had been “virtually no progress on the Irish Border issue since last December”. She said the Government was “relying far too much on the hope of a good outcome and not preparing for all potential outcomes”. Mr Varadkar has previously said that the Government is preparing for all possible outcomes, except the reinstatement of a Border on the island of Ireland. The issue was top of the agenda when officials gathered again in Brussels yesterday – but neither side is expecting any imminent breakthrough. Despite the resumption of talks, ratings agency Fitch said the risk of a bitter and economically damaging Brexit is growing. “An acrimonious and disruptive ‘no deal’ Brexit is a material and growing possibility,” it warned. Previously Fitch had assumed the UK would leave the EU in March next year with a transition deal in place and the outline of a future trade deal with the bloc. However, UK Prime Minister Theresa May is struggling to get her own Conservative Party to support her proposed Brexit deal, while the EU has raised objections to key parts of her plan, suggesting it will seek more concessions that could deepen the divide within the Conservatives. “An intensification of political divisions within the UK and slow progress in negotiations with the EU means there is such a wide range of potential Brexit outcomes that no individual scenario has a high probability,” Fitch said. Speaking at the Parnell Summer School, in Wicklow, Ms Chambers expressed a hope that the summer recess has provided “sufficient time for reflection on both sides and that cool, calm heads can prevail”. She called for Northern Ireland to be made “a special economic zone and work to ensure the closest possible relationship between EU and the UK”.